Ah, I love the Mr. Men series. Mr. Tickle, Mr. Messy, Mr. Nosey. So iconic! 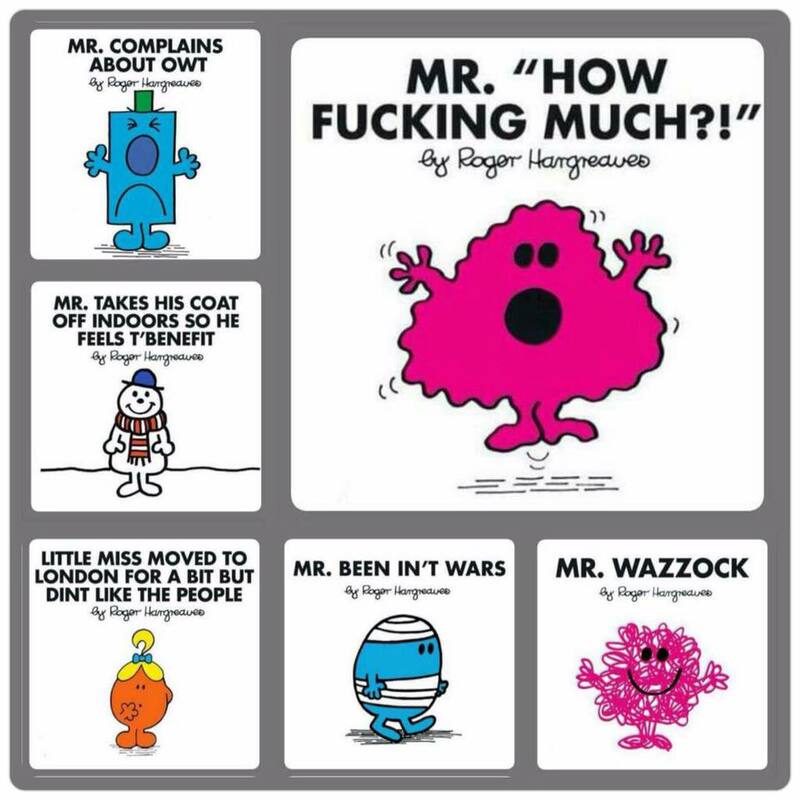 But this did make me laugh – well, why not a Yorkshire Mr. Men series, right?! Posted on 29, July 2015, in Books, Humor and tagged books, British, Children's books, comedy, humor, humour, Mr. Men, Yorkshire, Yorkshire Mr. Men. Bookmark the permalink. 2 Comments. I love the Mr. Men books from my childhood but I haven’t been able to find them for my children. Try Amazon.com or Amazon.co.uk…they seem to have a few!